Please tell about your Nailart Journey. Hi everyone my name is Paul Dennis also known as paulie @laynopaul on instagram, 33 yrs of age and I am from Philippines. I've been wearing polish since 2010.. Nail art started at 2012. While watching some youtube videos for some reasons I saw robin moses channel and that's the start.I started searching for more easier designs.Just like the typical newbie my first design was flowers and dots using pins and toothpick.. It was really a hard at first I even didn't know what to buy or where to buy stuff from ,because nail art during that time wasn't that famous here in Philippines.. Salon here knows only two design.. French tip and half moon. To be honest I always derive inspiration from everything. 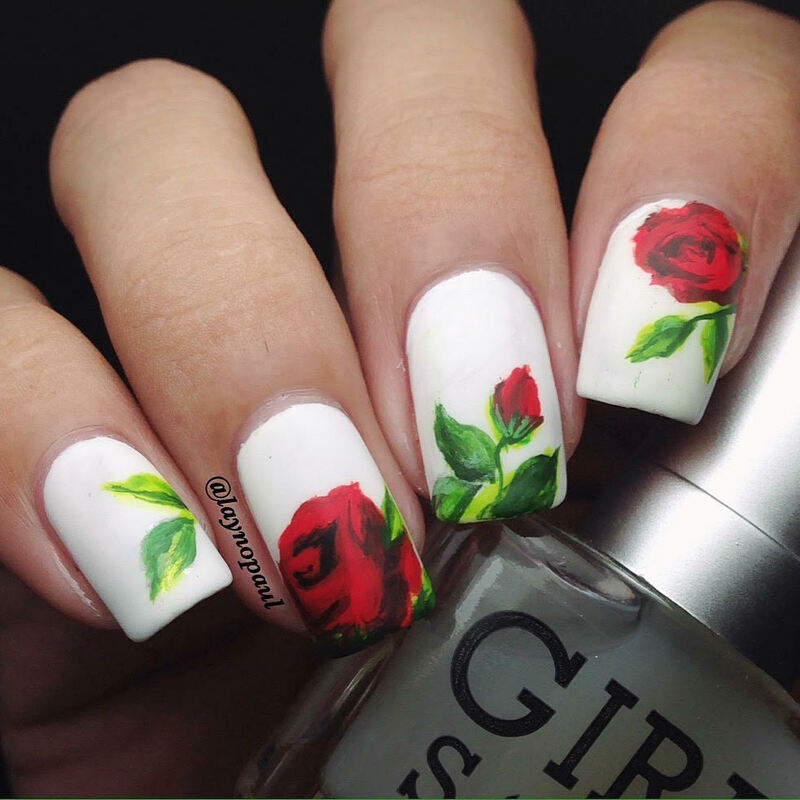 Let's say I see a dress with gorgeous color or print I would get that inspiration and turn into a nail design. Artist can see inspiration everywhere.My favorite style was freehand although I'm getting hooked with stamp because it's faster. I want to have my own nail spa. Since this is what I am good at. I also want to teach beginners because I want to share everything I know and everything I have learnt..
What tips you will give to other artists? Tips will always be - practice- you cannot achieve anything if you dont try. If you fail then that's good. You cannot be good at one thing if you were afraid to try. Never be afraid to ask, there are lots of people who can help you. 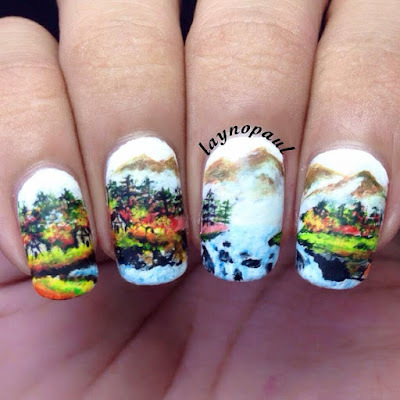 Have lots of patience especially if your doing freehand designs. Any achievements you like to mention? I have won several nail contest on instagram. But the real achievement for me is knowing more people, getting more friends with same interest. I remember someone who message me and say 'you are one of my inspiration' that is what you call an achievement. I have a lot. The first people I admire are the people who mentored me, the people behind nail adobo. 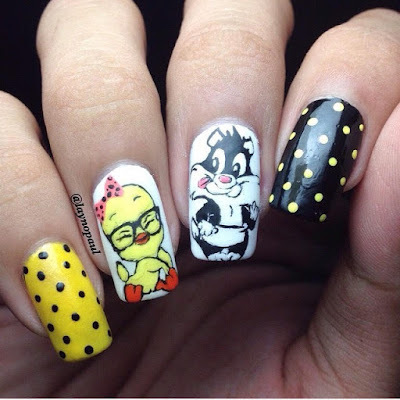 It was a filipino nail art group on fb. 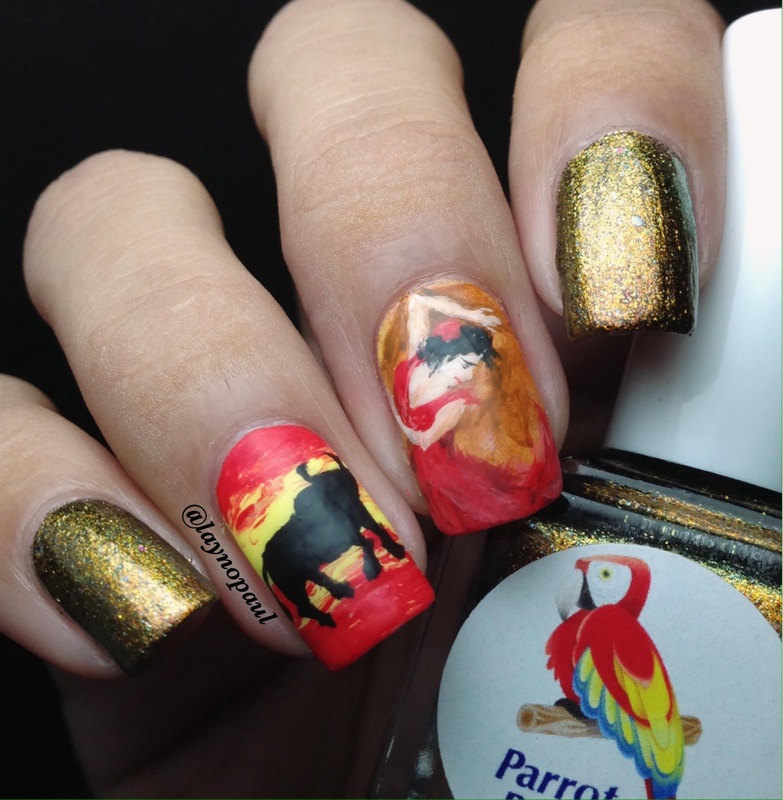 I am a big fan of andreitus_nails anna_xiewei ane_li and my good friend Narmai their freehand skills are way phenomenal . I can't mention everyone but I admire everyone on this community. You can follow Paulie on Instagram @LaynoPaul. 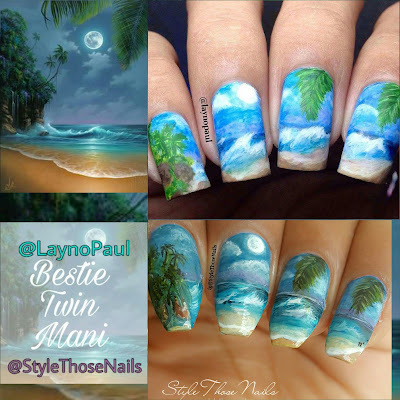 I hope you enjoyed this bestie nails and interview with Paulie.